Liam Connors nosed out Alden Mulherin in the final round by illustrating precise knowledge of our Canadian provinces on the final question. Liam and Alden were both excellent in the class competitions and during the final round at our recent bi-weekly Junior School Assembly. 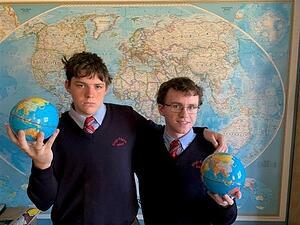 They are interested in global affairs, history and all things geographic. Both can be counted upon to think beyond the curriculum during class discussions and during cerebral competitions. Liam was our champion last year while being in Grade 8. We will miss you at next year’s competition, Liam! Achievements like this make parents so proud! We find that most parents of King's-Edgehill students are happy to help out whenever they can, and are eager to answer any questions prospective parents might have. 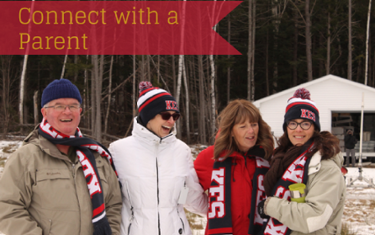 Let us know if you would like to connect with a current KES parent.